Stamp the feathers in Versamark ink onto Vellum. 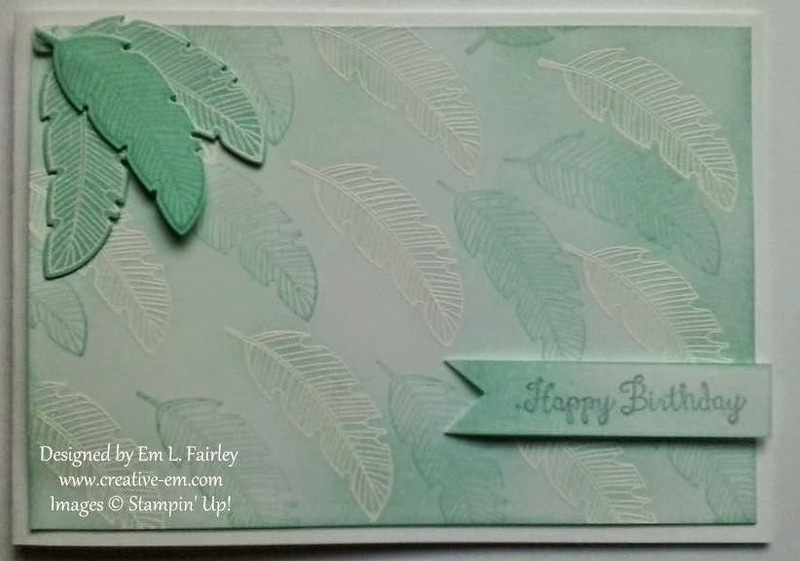 Cover with White Stampin' Emboss Powder and heat. 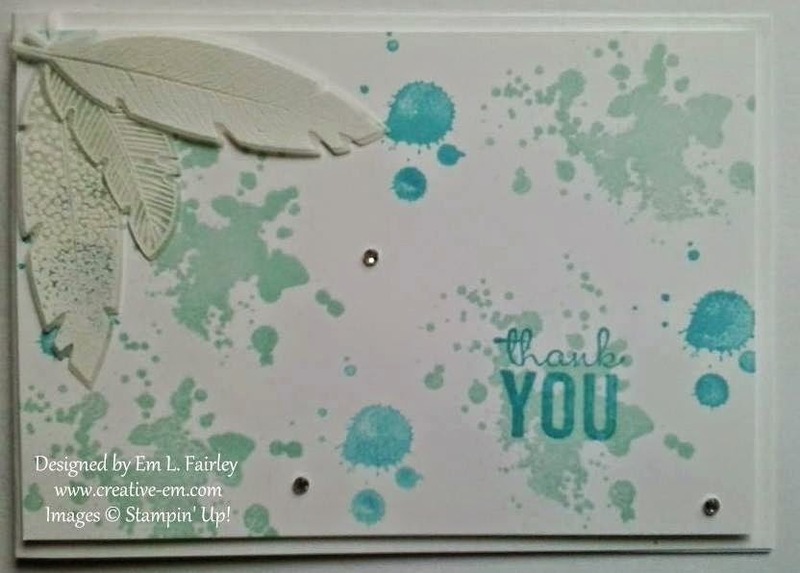 Stamp two of the spatter images from Gorgeous Grunge randomly onto a Whisper White panel in Pool Party and Tempting Turquoise ink. Stamp the sentiment from Painted Petals in Tempting Turquoise ink over one of the spatters. 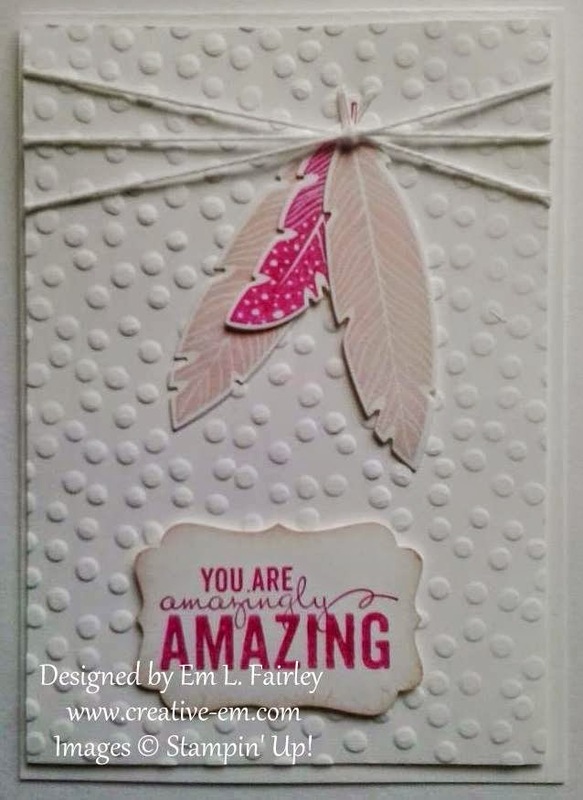 Attach panel to folded Whisper White base with Stampin' Dimensionals. 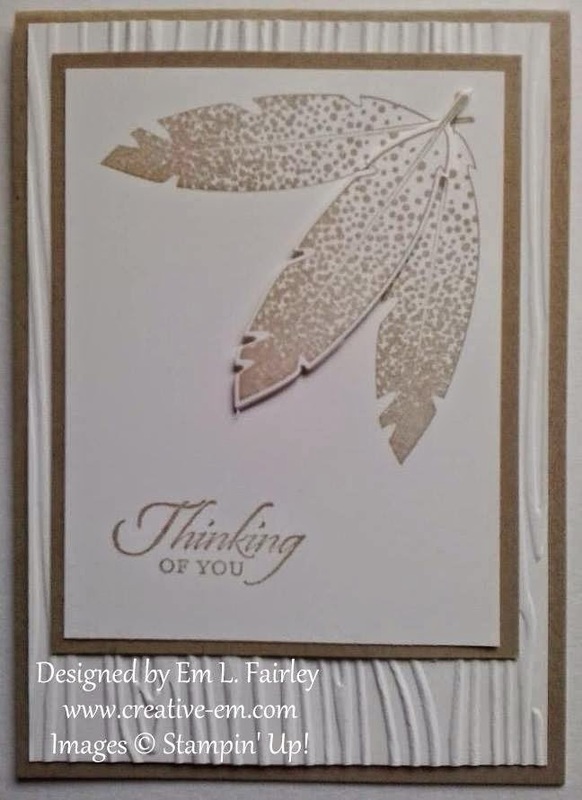 Die cut the feathers with the Feathers Framelits and attach to the top left corner of the card with Mini Glue Dots. Careful placement will mean they are invisible under the embossing. I love them all and really can't choose a favorite. Can you? Whatever you're doing this weekend, have a great one! I'm taking a bloggy vacation next week, but I'm not going anywhere, so will be stopping by your blogs, hopefully more so than lately! I'll be back on Easter Sunday with another creation, I hope you'll join me then. These are stunning Em! I love the designs. Hello Em, Wow these are all stunning, love the feather, fabulous colours to. All your cards are super and it's hard to choose a favourite, but I think it has to be todays - I love the beautiful soft blues. But Mondays came in pretty close!! WOW. so lovely!! Thanks for sharing this awesome card with us at AAA Cards!!!!! What lovely background and love the use of the feathers. Thank you so much for posting your entry with us at Word Art Wednesday this week. 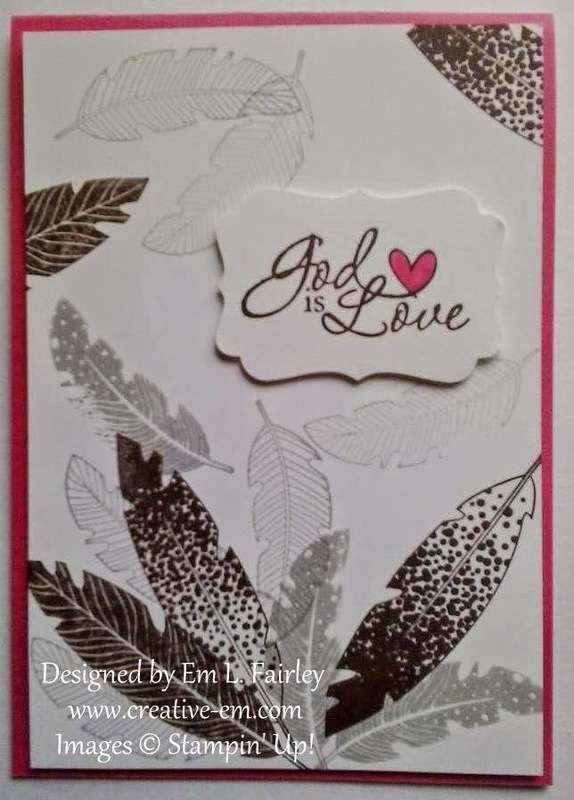 I love that feather stamp. I bet it is very useful for loads of projects.